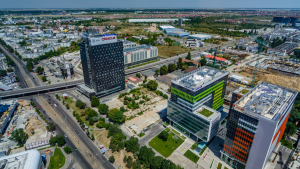 CBRE has taken over the management of the NEPI Rockcastle office portfolio in Bucharest, totalling 70,580 square meters. This is the first time when NEPI Rockcastle outsources the management of the properties. CBRE Romania now manages 770,000 sqm of offices and retail assets. 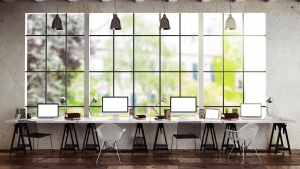 The increased interest of global corporations in coworking spaces was a notable trend that impacted on the office markets of the four largest capital cities in Central and Eastern Europe (CEE) in 2018. The total flexible office stock of Budapest, Moscow, Prague and Warsaw stands at 286,000 sqm, accounting for approximately 1% of the combined office market of these cities (29.9 million sqm). Demand generated by coworking operators in 2018 made up 5% of the overall office take-up in the CEE capital cities. 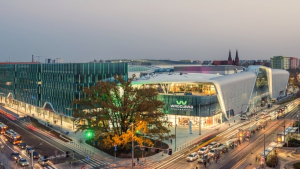 Spaces has leased 2,700 sqm in the mixed-use Wroclavia centre. Experts from JLL advised Spaces on the negotiation of lease terms. The developer - Unibail-Rodamco-Westfield - was represented by Knight Frank. 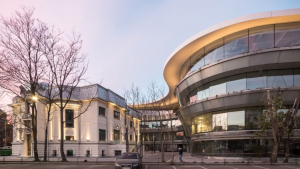 The Romanian office market started promising in 2019, given that in the first quarter, approximately 124,500 square meters were leased nationwide, almost 41% more than in the first quarter of last year. 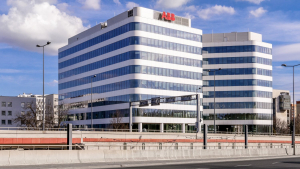 JLL has been chosen by the White Stone group to manage two office buildings on Cybernetyki St. in Warsaw. Since taking over the management of Cybernetyki 7 and 7a St., JLL is now responsible for a wide range of services in the management of the properties, which includes maintaining relationships with tenants as well as supervising technical, operational and administrative issues. The company began managing the two office buildings shortly after they were bought by the White Stone group. 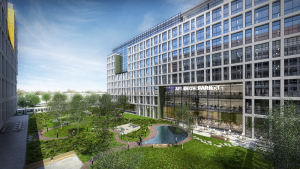 AFI Europe Romania will soon start works on the second phase of the €37 million AFI Tech Park Business Campus project in Bucharest. 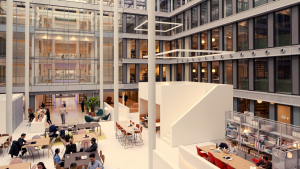 JLL has provided space for 2 new branches of the international provider of co-working offices Spaces. In November this year, Spaces open in the low-energy building Nile House in Karlín, where they will occupy more than 3,500 sqm. 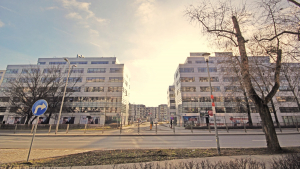 One month later, they will take over 3,300 sqm in the SmíchOFF office building in Prague 5. At the same time, Spaces announced its first location in Hungary. The co-working operator will move into GTC White House in Budapest in Q4 2019. CBRE acted as adviser to the deal. 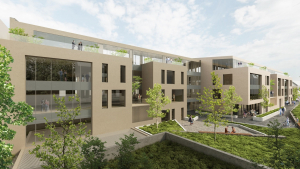 Atenor has signed an agreement, relating to the acquisition of more plots in the third district of Budapest, totalling an area of approximatively 5,000 sqm. This site is located 400 meters from Kolosy Square. 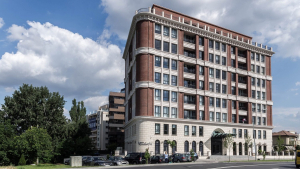 Cushman & Wakefield Echinox has been appointed to manage the Ethos office building, situated in the Floreasca area of Bucharest. This is the second mandate for the management of an office building by C&W Echinox in 2019. Companies from the BPO/SSC industry in Kraków and the Tri-City recorded the highest share for demand in the office sector. JLL summarized the activities of companies from the business services sector on the major office markets in Poland.